Laurel Wreath Brush Pack - Free Photoshop Brushes at Brusheezy! Back in the day in the Olympics, the winners would receive a laurel wreath crown as their prize. Today's world is a little more *bling bling* so they get gold medals. But, time cannot tarnish the beauty of the classic laurel wreath. With this new Laurel Wreath Brush Pack you'll be able to give your work a winning style and a first place design. Included in this pack are nine different wreath brushes. Rather have the vector pack? 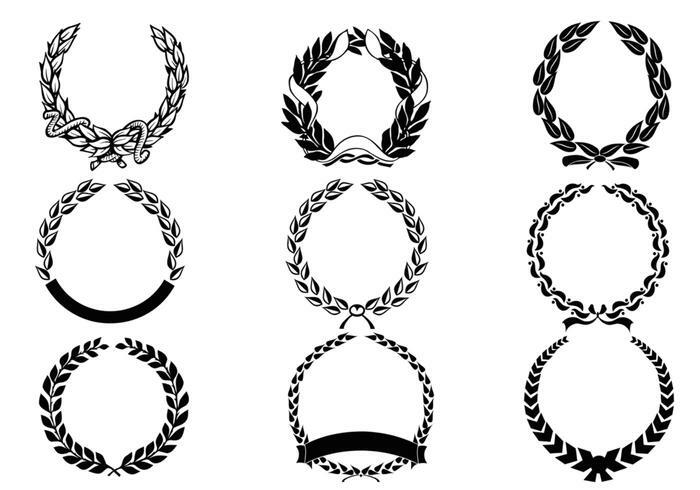 Download the <a href="http://www.vecteezy.com/ornaments/55085-laurel-wreath-vector-pack/premium">Laurel Wreath Vector Pack</a> over on Vecteezy!